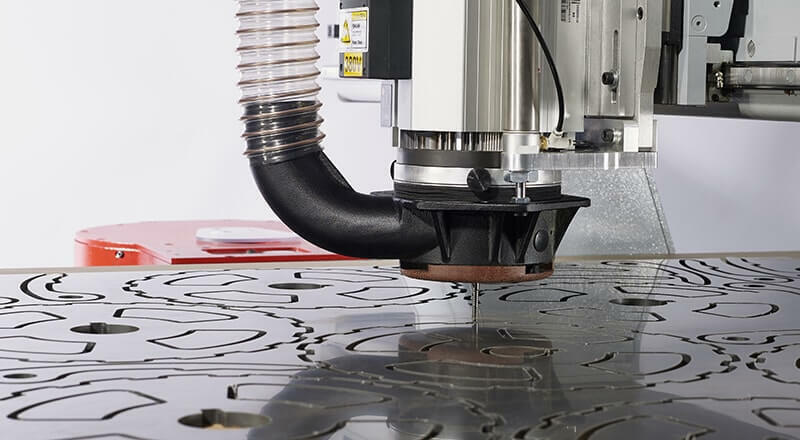 Manufacturers looking for precision, reliability and high-quality machining need look no further than the Pacer CNC router. Its robust construction, overwhelming standard specification and endless list of options are normally only found on much more expensive machines. The Pacer Series offers the perfect blend of high quality and affordability. How can Pacer help your business grow? 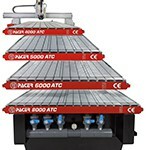 Designed specifically for manufacturers requiring precision, reliability and ease of use, the Pacer Series is most popular with plastic and aluminium fabricators where a high-quality cut finish, precise dimensional tolerance or very fine engraving may be required. 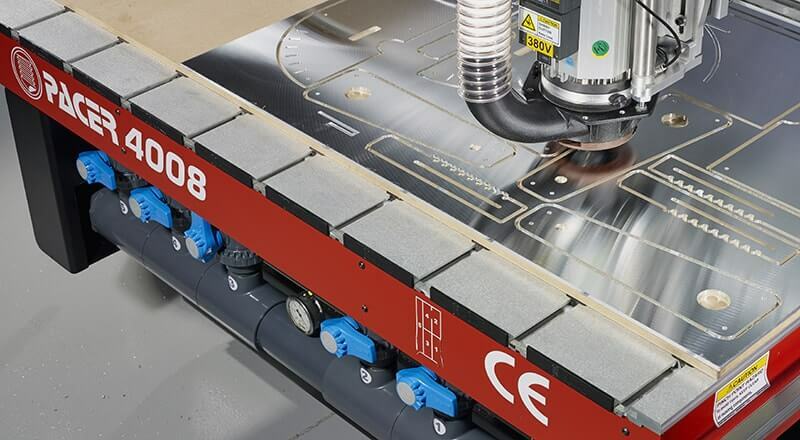 A popular, heavy-duty CNC router engineered to provide the highest combination of quality and precision, the Pacer Series offers the perfect platform for high-speed, vibration-free processing of even the toughest materials. The state-of-the-art Pacer Series i available in a wide variety of standard and custom sizes. With process widths from 1524mm to 2159mm wide by 6m long, AXYZ has a solution to suit your exact application and budget requirements. 1524mm Width. Lengths from 1220mm up to 6m. 1842mm Width. Lengths from 3048mm up to 6m. 2159mm Width. Lengths from 3048mm up to 6m. Helical Rack and Pinion on X and Y. Precision ballscrews on Z.
Utilising the best technology available, the Pacer Series CNC router offers an overwhelming standard specification. From a heavy-duty steel base, to the latest drive systems, the Pacer is engineered for performance, precision and quality machining. 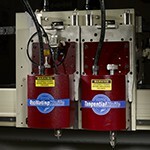 Choose from manual, quick-release, high-power and high-speed spindles for optimum processing of rigid sheet materials. 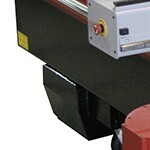 Various knife tools are available to process a range of flexible and semi-rigid materials. All Pacer Series machines are built on a single-piece, stress-relieved, heavy-duty steel base providing extra rigidity and strength. For situations that benefit from the greater mass of a steel gantry, heavy duty steel gantries are standard. 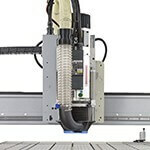 The standard helical rack and pinion provides superior high speed performance delivering greater accuracy, smoother cutting and quieter running. 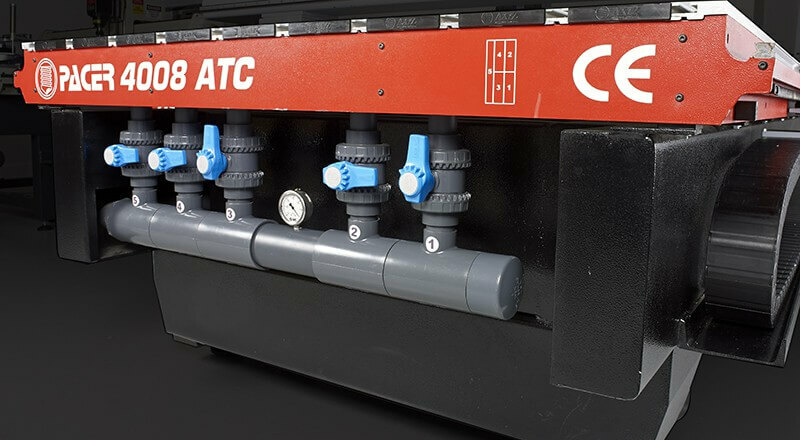 For high-volume applications where cycle times need to be kept to a minimum, the powerful servo drives can increase productivity. 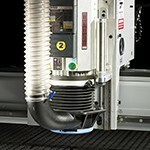 All Pacer machines have high-pressure aluminium zoned vacuum beds to maximise hold-down and reduce waste. 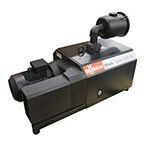 Vacuum zones can be activated manually or automatically by the machine controller. 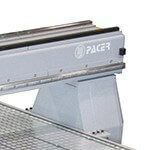 An automatic tool-length sensor maintains accurate and consistent cut depths and is standard on all Pacer machines. 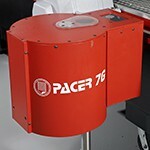 Pacer was developed over more than 25 years ago to offer one of the most diverse option sets in the industry. 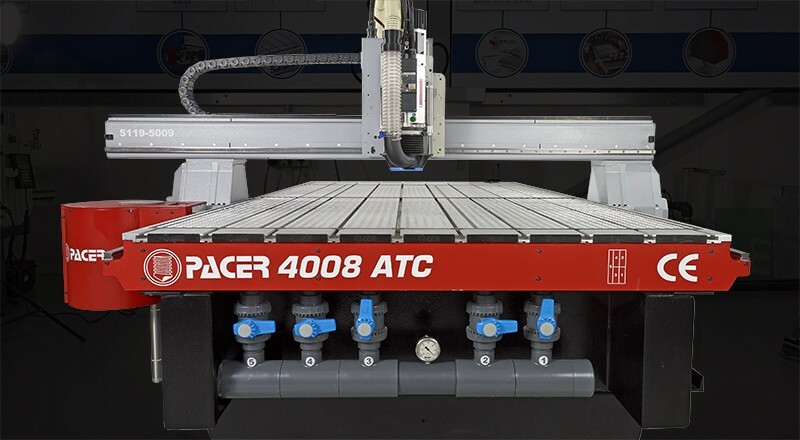 Through ongoing research and development including input from our industry partners, vendors and customers, the Pacer Series CNC router is easily customised to suit your exact needs. 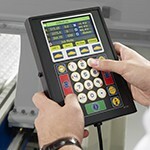 Choose your preferred process area between three standard machine configurations. 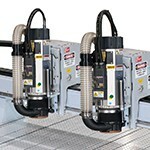 The Heavy-Duty Pacer Series CNC router can have one or two carriages, with a single or twin head and each head can accommodate multiple tools. Tools may be router spindles, knife tools, drills and more. The 7, 21, or 33 position tool changer provides an easy and convenient method of running jobs requiring multiple routing tools. 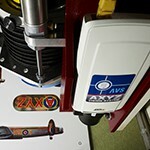 The carousel is mounted on the gantry to minimise toolchange time. 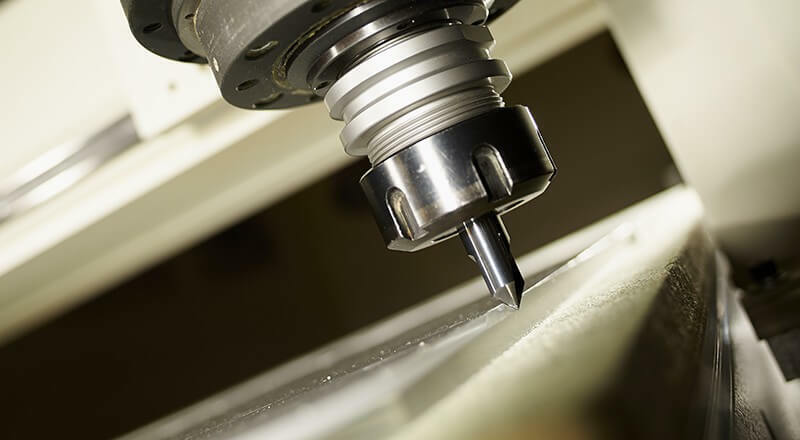 Spindles are available from quality manufacturers such as HSD and Elte with power outputs from 3Hp to more than 10Hp, a choice of manual, semi or fully automatic toolchange and high speed options for specialist applications. 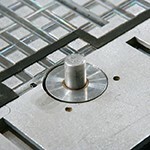 Fitting one or more knife tools can broaden the range of materials that can be processed. Choose from a standard tangential knife or high performance tangential oscillating knife. 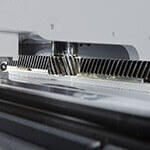 A wide range of blades are available for cutting flexible and semi-rigid materials. 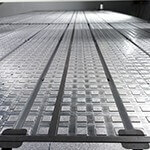 Depending on its process area, the machine deck will include multiple vacuum zones. 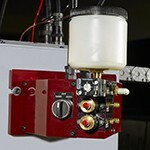 Options are available for manual or automatic switching of the zones. 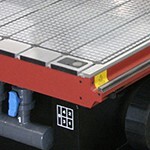 In automatic mode, known as 'Live Deck' the machine controller opens zones according to the position of the cutting head to maximise hold down exactly where it is needed. 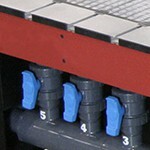 Pneumatically operated steel pop-up pins are useful for ensuring repeatable material placement. The number and positioning of the pins is fully customisable. 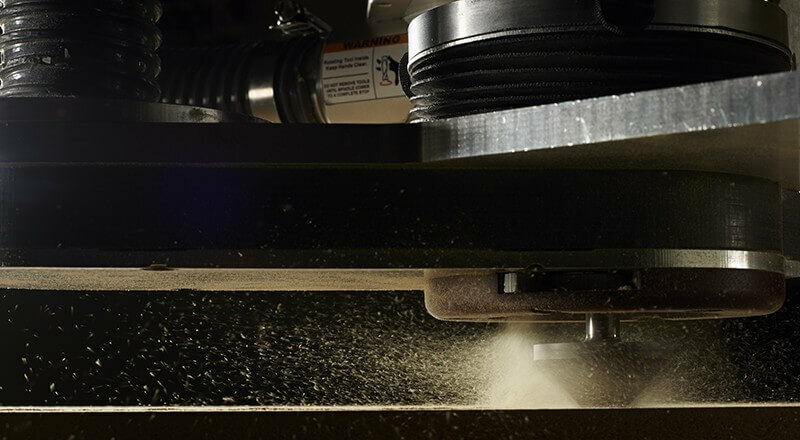 When using routing spindles the removal of dust and debris is vital for good quality edge finish and for health and safety. The AXYZ High Capacity and Universal 5Y Pressure Feet are designed to assist material hold down and also maximise extraction under all types of cutting conditions. Certain materials, in particular aluminium and other non-ferrous metals, often cut better with a small amount of lubricant or coolant. The Unist Mister option will automatically apply a pre-set amount to the tool during cutting and is compatible with all pressure feet options.